A V-shaped carving on a Stone a few miles east of Oil City, Pa, tells the story of the Biblical Flood, which happened in the Sixth Dynasty. More than half of the world population perished: 2.6 million men (54%). It lasted slightly less than 2 + 2 = 4 months, in reality 110 days. The precipitation was 9 meters of water. Finally, the glyph provides the periodicity of the Comet, 575 years. Oil City is a town of 11,000 inhabitants on the Allegheny River in northwest Pennsylvania. The River flows south to Pittsburgh, where it joins the Monongahela River and continues as the Ohio River. There is a village several miles northeast of Oil City, at its northern shore. At this site the V-shaped River flows west, after which it bends to the south. It appears, that the V-shaped carving represents both coasts of South Greenland, which was already discovered c.3200 BC. The Stone is located at the bottom of the V-shaped river bend. So, Cape Farvel, the South Cape of Greenland, appears to be important. The Biblical Flood was caused by a Comet Catastrophe. In antiquity, the Head of a Comet was symbolized by the island of Greenland, consisting of ice and stones. The Tail of a Comet was symbolized by the North Atlantic Ocean below it, which contains a huge amount of water. The V-shaped glyph consists of two pieces of line. It means the Disaster was a two stage event. The Nile Delta is located at 30oN, encoding the 30 days of the month. So, the duration is expressed in days, but maybe also in months. Cape Farvel is located at the complementary latitude of 90o - 30o = 60oN. In antiquity the use of complementary latitudes was very common. So, the first time period lasted 60 days, or two months, when the Earth was inside the Tail of the Comet (or Comet Swarm). The two lines of the V confirm it. The falling stones were causing horrible forest fires, and the melting ice resulted in torrential rains and worldwide floodings. It was completely dark on Earth. The second time period also lasted 60 days, or two months, when the Earth was outside the Tail of the Comet, again. The two lines of the V confirm it. The climate was completely disrupted. The terrible rains continued, but it also became extremely cold. So, the rains changed into ferrocious snow and hail storms. The "complementary latitude" of Cape Farvel on the Northern Hemisphere equals 180o - 60o = 120o, confirming the total duration of 2x60 = 120 days. The two lines refer to the 40th latitude line, 2o below Oil City, at 42o - 2o = 40oN. This line confirms the duration of 4 months. Oil City is located between 41o and 42oN, which is between 11o and 12o above the Nile Delta, at 30oN. It means, that the carvers were aware of the fact that the duration might have been exaggerated. The true duration of the Flood might have been 110 days. The City is located 11 Moiras, or 110o, west of the Nile Delta, when measured along the equator. It confirms this corrected value. The Stone at Oil City is located at 42oN. The East Cape of Newfoundland (and North America) is located at the complementary latitude of 90o - 42o = 48oN. It encodes the world population before the Comet Catastrophe: 4.8 million men. The East Coast of Greenland (Fig.1) is situated 7 Moiras, or 70o, west of the Nile Delta, when measured along the equator. It corresponds to the 7 figures of this number. The two lines of the V show that about half of the world population perished. The "relative latitude" of the East Cape of Newfoundland encodes the exact number of casualties: (48/90) x 4.8 = 2.6 million men (54%). So, there were 4.8 - 2.6 = 2.2 million survivors. Most of them were seriously injured. The piece of line at the right side represents the East Coast of South Greenland. It runs from Cape Farvel in the south to Cape Brewster in the north. The two lines together encode 2 million casualties. Cape Brewster, at 70oN, confirms the 7 figures of this number. Cape Farvel, at 60oN, encodes an additional 6 hundred thousand victims (a number of 6 figures). So, in total there were 2.0 + 0.6 = 2.6 million casualties. The two lines make an angle of 36o, referring to the Strait of Gibraltar, at 36°N. It is located 36o - 30o = 6o above the Nile Delta, referring to the Sixth Dynasty, when the Disaster occurred. It is the exit of the Mediterranean Sea towards the North Atlantic Ocean, which represents the Tail of the Comet. Its latitude points to the circumference of the planet Earth of 36 Moiras, or 360o, because it was a wordwide Catastrophe. NW Ireland, at the complementary latitude of 90o - 36o = 54oN, encodes the percentage of casualties, 54%. It is situated 60o - 54o = 6o below Cape Farvel, referring to the Sixth Dynasty, again. The world population before the Calamity was (100/54)x2.6 = 4.8 million men. The number of survivors was 4.8 - 2.6 = 2.2 million men. The (Central) Azores, at 38oN, are situated 60o - 38o = 22o below Cape Farvel, confirming it. The Central Azores consist of five islands, referring to the Fifth Dynasty which was ended because of the Biblical Flood. 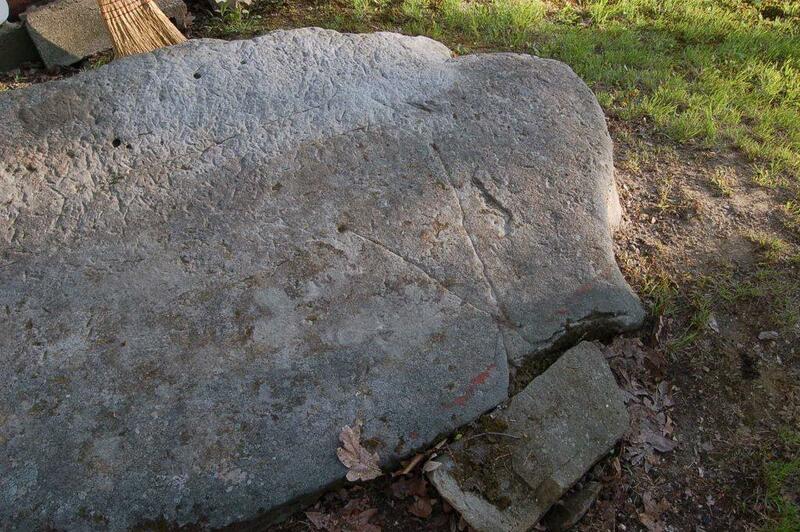 This petroglyph of Oil City (Fig.1) strongly resembles the Roman number V, which might also refer to this dynasty. It might be the origin of this symbol. In antiquity people counted the years after the Biblical Flood (c.2344 BC), which ended this dynasty. Oil City is located in Pennsylvania. Most of the land in the State is bounded on the east and south by the Appalachian Mountains. The State is called after Transylvania, a region in the central part of Romania, bounded on the east and south by the Carpathian mountain range. Sylvania means “woodland”. Penn is from the Greek number “penta”, meaning “five”. So, this woodland was reached for the first time by people from the Old World in the Fifth Dynasty. Painted hand stencils, often in groups, are found in caves and on rock walls on all continents on Earth. Most of these hand stencils were made by the survivors of the Biblical Flood. They said goodbye to the Fifth Dynasty of the Old Kingdom, which was ended because of this Catastrophe. Sometimes one of these hand stencils turns out to have six fingers. It dates the group of paintings to the Sixth Dynasty. (see also Fig.2) – Note the origin of the name of Cape Farvel: “Cape Fare Well”! The piece of line at the left side represents the West Coast of South Greenland. It is located 8 Moiras, or 80o west of the Nile Delta, when measured along the equator. It encodes the total precipitation during the Flood of about 80 micromoiras = 80x0.11 = 8.8, or 9 meters of water. The meridian of Oil City leaves the coast of South Carolina 41o - 33o = 8o below the Stone, confirming it. SW Ireland is located 60o - 52o = 8o below Cape Farvel, confirming it, too. The (Central) Azores are located 38o - 30o = 8o above the Nile Delta, confirming it, again. The Biblical Flood had a profound influence on the climate on Earth. The Azores consist of three island groups, which illustrate this colder and dryer time period lasted for three centuries, from c.2344 BC till c.2000 BC, which is at the start of the Twelfth Dynasty (Middle Kingdom). Cape Farvel, the south cape of Greenland, is located at 60oN (Fig.1). It also encodes the approximate periodicity of the Comet which caused the Biblical Flood, c.600 years. The Nile Delta, at the complementary latitude of 90o - 60o = 30oN, confirms the 3 figures of this number. The three island groups of the Azores confirm it, too. The meridian of Oil City runs from James Bay in the north to the east coast of Florida in the south over 51o - 26o = 25o of latitude. It might correct the approximate periodicity to its exact value of 600 - 25 = 575 years. The east coast of Florida, at 26oN, confirms the 2.6 million casualties of the Flood. The peninsula of Florida has the shape of a Comet. The south cape of Florida is located at 25oN, confirming the true periodicity. Oil City is located between 41o and 42oN, which is between 11o and 12o above the Nile Delta, at 30oN. It suggests the glyph dates from the start of the Twelfth Dynasty (Middle Kingdom), which is c.2000 BC. The meridian of Oil City runs from the eastern end of Georgian Bay in the north to the coast of South Carolina over 45o - 33o = 12o of latitude, confirming the Twelfth Dynasty. The “complementary latitude” of Cape Farvel on the Northern Hemisphere equals 180o - 60o = 120o, confirming it, again. 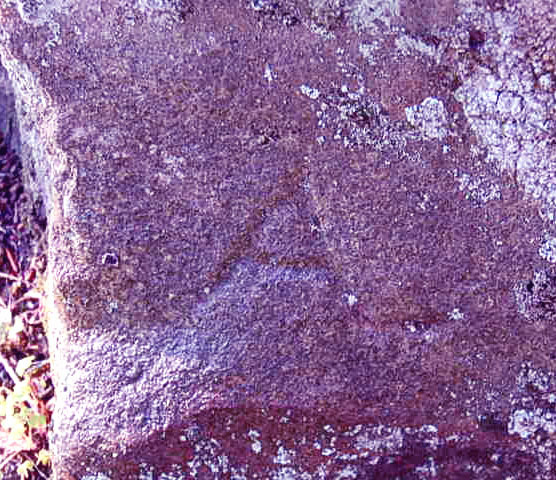 The so-called A_ glyph (A-with-a-foot, Fig.3) is located at the other side of the Stone, on its vertical edge, almost opposite the large V-shaped petroglyph of Fig.1. Its width and height are only 10 and 5 cm, respectively. It was hard to reach a balanced conclusion, but it appears the small glyph has two meanings, both dealing with stylized sailing routes (of limited importance). The low horizontal line appears to be the (stylized) south coast of Iceland, at 65oN. The right side of the A is the sailing route along the west coast of Iceland all the way to Cape Raven, Greenland, at 68oN, which includes the shortest crossing over open sea (4 moiras= 4o). The left side of the A is the sailing route along most of the east coast of Greenland to the south. The shortcut from the NW peninsula of Iceland, at 66oN, to Cape Holm, at 67oN (5 moiras = 5o), is also shown. However, there is a second meaning. The low horizontal line also represents the (stylized) south coast of Greenland. The right side of the A is the west coast of Greenland, from 61oN to halfway the shortest crossing to Cape Walsingham, Baffin Island, at 66oN. The left side of the A is the sailing route along Baffin Island to the south, to Cape Chidley, Canada, at 61oN. The shortcut along the latitude line at 64oN (5 moiras= 5o) is also shown. Note, that the whole, flat Stone (of Fig.1) more or less resembles a coast map of Greenland (not shown). It appears, that the small A_ glyph was made to emphasize the large V-shaped glyph at the other side represents the two (stylized) coasts of South Greenland. It appears, the carvers were not sure whether this message would be understood by the future generations to come. It is clear, the carvers did not know a script to clarify their message further. The top angle of the A_ carving equals 60°, which refers to Cape Farvel, the important south cape of Greenland, at 60°N (see above). In antiquity people had great difficulties explaining what happened during the Biblical Flood. It was caused by a Comet Catastrophe. However, this is a very rare phenomenon. 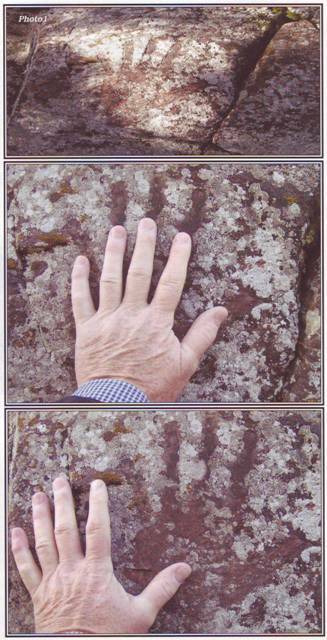 Fig.4 shows a large worked Stone nearby. The right tip of the Stone points to the south. It has the shape of (South) Greenland, which consists of ice and stones. The more or less flat Stone was hollowed out, as shown at the left side of the photo. In winter the bowl will contain snow, in spring and autumn it will contain water. A channel was made to the west side (see Fig.4), to illustrate the Head of the Comet produced a Tail with a lot of water. Note, that a small spring runs from left to right down the west side, the side on which the photo was taken. Fig.5 shows another worked Stone nearby. It was hollowed out on the top and at the left side. In winter the bowl will contain snow, in spring and autumn it will contain water. A channel was made at the left side (see Fig.5), to illustrate the Head of the Comet produced a Tail with a lot of water. Seen from above, the Stone resembles (South) Greenland, again. Note, the little stream of water at the left side of the photo. According to Thom Anderton1, all relevant Stones are at a distance of between 125 and 150 meters from the shore of the Allegheny River, about 20 meters higher than its present, average water level. It may be, that the positions of all these Stones were at the edge of the maximum water level of the River during the Biblical Flood (c.2344 BC), to illustrate its impact. 7. Peiser, B.J., Palmer, T., Bailey, M.E., Natural Catastrophes during Bronze Age Civilizations, BAR International Series 728, Oxford, 1998 (ISBN 0-86054-916-X). 8. Baillie, M.G.L., “Hints that Cometary Debris played some Role in several Tree Ring Dated Environmental Downturns in the Bronze Age”, Ref.7, pgs.109-117. 9. Peiser, B.J., “Evidence for a Global Disaster in the Late 3rd Millennium BC”, Ref.7, pgs.117-140. 10. Courty, M.A., “The Soil Record of an Exceptional Event at 4000 BP in the Middle East”, Ref.7, pgs.93-109. 11. Clube, S.V.M., and Napier, W.M., The Cosmic Serpent, Faber and Faber, London, 1982. 12. Clube, S.V.M., and Napier, W.M., The Cosmic Winter, Blackwell, Oxford, 1990. 13. Joseph, F., Survivors of Atlantis, Their Impact on World Culture, Bear & Co., Vermont, 2004 (ISBN 1-59143-0-040-2). 14. Baillie, M., Exodus to Arthur, Catastrophic Encounters with Comets, BT Batsford Ltd., London, 1999 (ISBN 0-7134-8681-3). 17. De Jonge, R.M., “Discovery of America and the Flood (c.2300 BC, Ita Letra, Villarrica, Paraguay)” (2009), Ref.5, to be published. 18. De Jonge, R.M., “The Discovery of Australia and the Flood (The Rainbow Serpent Shelter, Mt. Borradaile, Arnhem Land)” (2010), Ref.5, to be published. 19. De Jonge, R.M., “The Ikom Monoliths and the Flood (1200 BC-200 AD, Cross River State, Nigeria)” (2010), Ref.5, to be published. 20. De Jonge, R.M., “Great Serpent Mound (c.2300 BC, Adams County, Ohio)” (2010), Ref.5, to be published. 21. De Jonge, R.M., “Gold Ring (Grand Canyon, Arizona, c.1450 BC) (2010), Ref.5, to be published. 22. 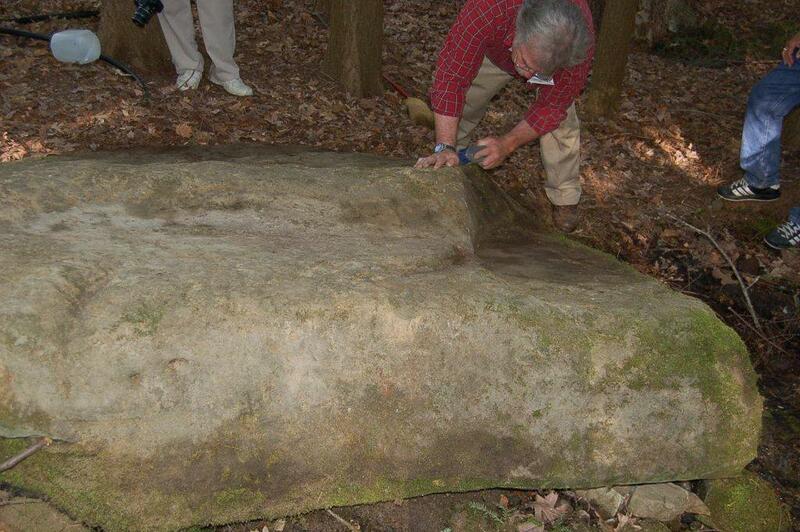 De Jonge, R.M., “The Swan Stone (Burrows Cave, near Olney, Illinois)” (2011), Ref.5 , to be published. 23. De Jonge, R.M., “Sentinel Rock, Vermont (Discovery of America and Biblical Flood, c.1900 BC)” (2011), Refs.5,6, to be published. 24. De Jonge, R.M., “The Brandenburg Stone, Comet Catastrophe of 536/540 AD” (560 AD, Battletown, Meade County, Kentucky) (2010), Ref.5, to be published. 25. De Jonge, R.M., “The Discovery of Three Continents (Santo Stefano, North Sardinia, Italy, c.2300 BC)”, Ancient American, Vol.12, No.76, pgs.28-29 (2007), Ref.5. 26. 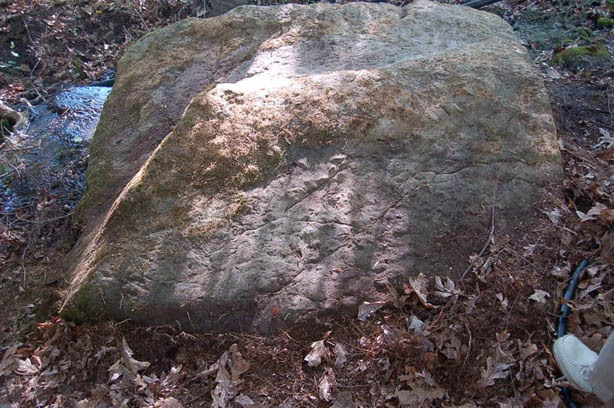 De Jonge, R.M., “Houghton’s Petroglyph (Copper Country, Michigan, 2500-1200 BC)” (2009), Ref.5, to be published. 27. De Jonge, R.M., “The Mystic Symbol, mark of the Michigan Mound Builders” (2009), Ref.5, to be published. 28. De Jonge, R.M., “Stonehenge, Monument for the Discovery of America (Salisbury Plain, South England, c.2000 BC) (2011), Refs.5,6, to be published. 29. De Jonge, R.M., “Tripod Rock, Pyramid Mountain (Morris County, New Jersey, c.1900 BC)” (2011), Refs.5,6, to be published. 30. Wakefield, J.S., “Were the Copper Miners of Michigan Giants?”, Ancient American, Vol.13, No.85, December 2009, pgs.2,3.